A significant portion of your first physical therapy session will be an assessment of your symptoms and health history. The therapist will ask a range of questions about your back pain, your normal activities, your home and work environment, and any chronic medical conditions you may have. He or she may also assess how you walk, get up and down from a chair, bend, and lift. Watching you do these activities will give your physical therapist important insight into your body mechanics and help him or her devise a treatment plan for you. 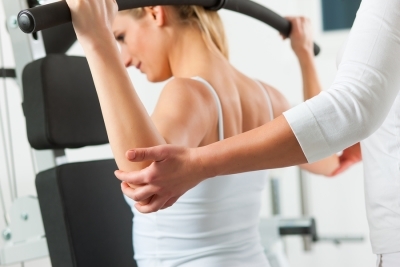 Your physical therapist will design an exercise plan that will strengthen your back and help to reduce pain. During your first appointment, you will learn these exercises, and at future appointments, your therapist may add or remove exercises as needed, depending on your progress. He or she may also use various modalities—such as heat, ice, TENS therapy, and ultrasound—to alleviate your back pain. In most cases, your physical therapist will ask you to do certain exercises at home to keep making positive progress in your recovery. He or she will teach you how to properly do the exercises at home and give you a complete set of instructions. You may also need to use heat, ice, or other forms of therapy at home to control your back pain and make it easier to stay active. Keep in mind that the closer you stick to your physical therapy pain, the faster you will make progress towards your recovery.